Listen on: iTunes / Podbean / Stitcher / Spotify / YouTube / Sign up for our newsletter, delivered every Friday for the latest Podcast and more info on getting you started running amazing events. This week's episode is a bit different. I was delighted to be a guest on the ‘More Travel in Life Podcast’ with Jen Miller to talk about travel and business. I’ve always been fairly nomadic and been able to run conferences and training events remotely, and we discuss how I did it, and also how we manage a remote team distributed around the World. I actually wrote a Medium post about how running live events are a great business for digital nomads which ties in pretty well to this interview. The podcast is sponsored by www.eventsframe.com - Effortless ticketing and attendee management with NO ticket fees and plans from just $20/month! Email dan@eventsframe.com with the subject line ‘PODCAST’ for a special secret discount code. I hope you enjoyed the podcast and please leave us a review anywhere on the web it really means a lot to us! Sign up to our newsletter, delivered every Friday to get notified when the podcast is live, plus the latest events news of the week! Starting a subscription membership site and bring profit from month 1! This week's episode features an amazing entrepreneur Chris Ducker. Chris runs The YouPreneur Summit, an annual conference with over 500 attendees, and has used meetups and masterminds throughout the growth of his many businesses. He’s a super inspiring guy and I think you are going to love this conversation. This week's episode is a bit different. I was delighted to be a guest on the ‘SaaS Breakthrough Podcast’ with David Abrams from Demio to talk about EventsFrame, the ticketing system I co founded. I am often asked about the backstory of EventsFrame by listeners so this is a great way to tell the full story. I thought I would post it here as I get into a lot of detail about how we founded the software and a lot of the problems and ‘war stories’ of our entrepreneurial adventure so far. If you are thinking about starting an app or software for event producers this is the episode for you! The world of social media marketing is one I’m just getting to grips with so it was great to talk with Masiska who is an expert on the topic. She has worked not only with event organisers but with hotels, resorts and destinations which is interesting to hear about things from the other side also. ‘Social media influencers’ has a lot of negative connotations (to me anyway) but Mariska explains how to find experts in your field and how you can use influencers to make your event a success ...even on zero budget. I’ve known Coran for a few years. Along with his wife Leanne they live a fairly nomadic life, but often spend 3-4 months in Prague where we have spent a lot of time together. We also have a great discussion about promoting yourself online including newsletter, YouTube/Facebook/Instagram video strategies to do week in week out, including how Coran repurposes content to all channels and his exact workflow. How Coran bombed at his first speaking event in Hong Kong…. and this still led to Coran getting a customer! This podcast is sponsored by www.eventsframe.com - Effortless ticketing and attendee management with NO ticket fees and plans from just $20/month! Email dan@eventsframe.com with the subject line ‘PODCAST’ for a special secret discount code. I hope you enjoyed the podcast and if you did please share the podcast with one person you think will enjoy it. This REALLY helps us. Listen on: iTunes / Podbean / Stitcher / Spotify / YouTube / Sign up for our newsletter-delivered every Friday to get notified when the podcast is live, plus we send you weekly tips that you can use right now to run profitable events! Anton runs the hugely popular website Dropship lifestyle where he teaches people to set up and run dropship stores…. a really interesting business model where you set up an online store with no inventory and of course run your business from anywhere. How Anton runs annual retreats for his community for around 100 people in locations such as Thailand, Hawaii, Prague and more! This interview takes place three months after the last one. Will has just finished an epic two month run of the Great Christmas Feast in London, an ‘Immersive Experience’ on an epic scale….every day for two months….so we get into all the stories while they are still fresh in his mind. Will talks about what’s next The Lost Love Speakeasy his most ambitions event yet and one with no end date. This podcast is sponsored by www.eventsframe.com - Effortless ticketing and attendee management with NO ticket fees and plans from just $20.month! Email dan@eventsframe.com with the subject line ‘PODCAST’ for a special secret discount code. I hope you enjoyed the podcast and if you did please leave us a review anywhere on the web it really means a lot to us ! Listen on: iTunes / Podbean / Stitcher / Spotify / YouTube / Sign up for our newsletter - delivered every Friday with the latest Podcast episode and more tips on helping you run amazing events. How he got all his speakers Diplomatic Immunity! How his first event promised all attendees to have an online business up and running at the end of the second day - and achieved it! This podcast is brought to you by www.eventsframe.com - Effortless ticketing and attendee management with NO ticket fees....Make the switch from Eventbrite today! Email dan@eventsframe.com with the subject line ‘PODCAST’ for a special discount code. I hope you enjoyed the podcast and if you did please leave us an iTunes review it really means a lot to us ! 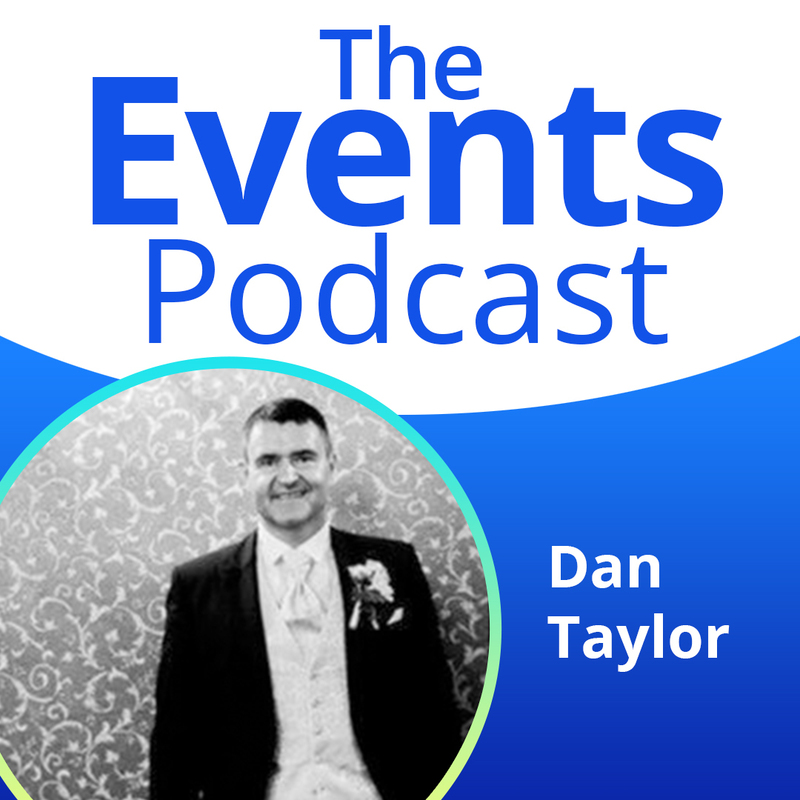 Start building your Events Empire in 2019 with the events podcast! for #eventprofs New episodes live every Friday. Whether you are planning small meet ups or large conferences we have actionable tips to help you right now.